Novelist Alice Walker's "The Colored Purple" "Pulitzer Prize for Fiction in 1983. Novelist Tony Morrison's "Beloved" wins Pulitzer Prize for Fiction in 1988. 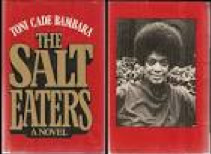 "The Salt Eaters" is a 1980 novel, the first such work by Toni Cade Bambara. The novel is written in an experimental style and explicitly political in tone, with several characters being veterans of the civil rights, feminist anti war movement of the 1960s and 1970s. Bambara's first novel earns numerous awards including the American Book Award in 1981. Poet and Author Rita Frances Dove wins the Pulitzer Prize for Poetry in 1987 becoming only the second African American to receive this distinction. From 1993 to 1995, Dove served as Poet Laureate Consultant in Poetry to the Library of Congress. She is the first African American to have been appointed since the position was created by an act of Congress in 1986 from the previous "consultant in poetry" position (1937-1986).